It’s the day after St. Patrick’s Day and people all over the world are doing two things: 1) recovering from a hangover; and 2) wondering what to do with massive amounts of leftover corned beef. 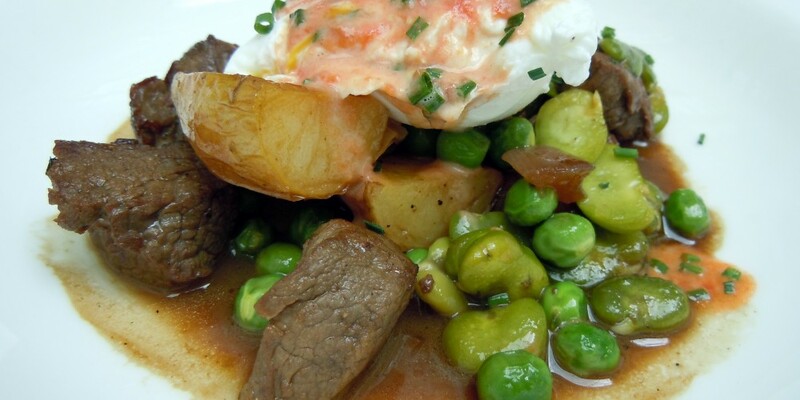 Now, most people would go straight to corned beef hash, but noooo! I’m one step ahead. 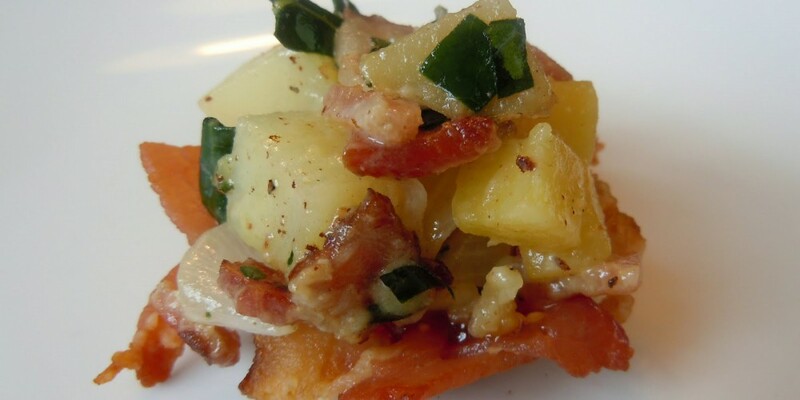 I’m thinking about what to do with the leftover corned beef hash – we’re talking about serious potato hash strategy, folks. We’re talking about Corned Beef Hash Croquettes! Delicious interior of a Corned Beef Hash Croquette. Base ingredients for the corned beef hash. 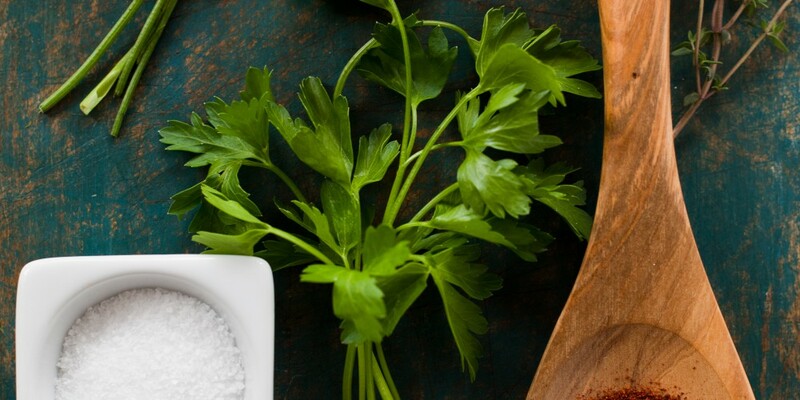 This hashcapade comes together fairly easily, but it is time-consuming to cook your own corned beef brisket and wait for the croquette mixture to cool in the fridge. 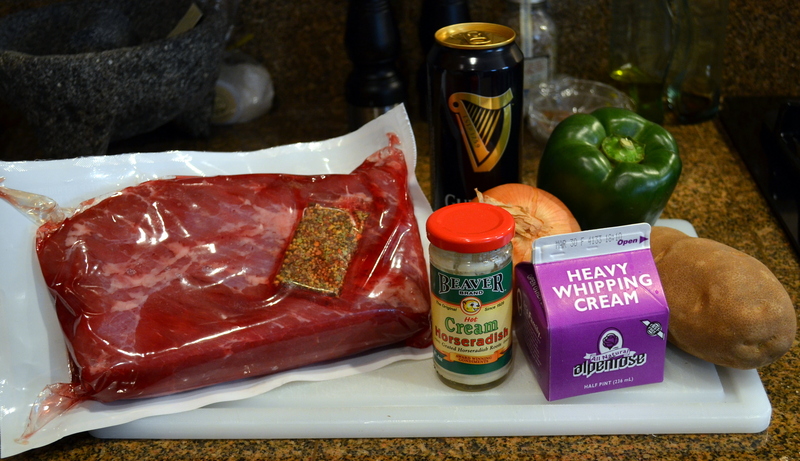 You can save time by buying it already cooked if you prefer, but the sheer delight of simmering corned beef brisket in Guinness (and tippling a wee bit as you wait) is worth it! Most stores will have multiple types of corned beef brisket with a little spice packet to use for cooking, which was my choice. You can see it above, hermetically sealed next to the brisket. 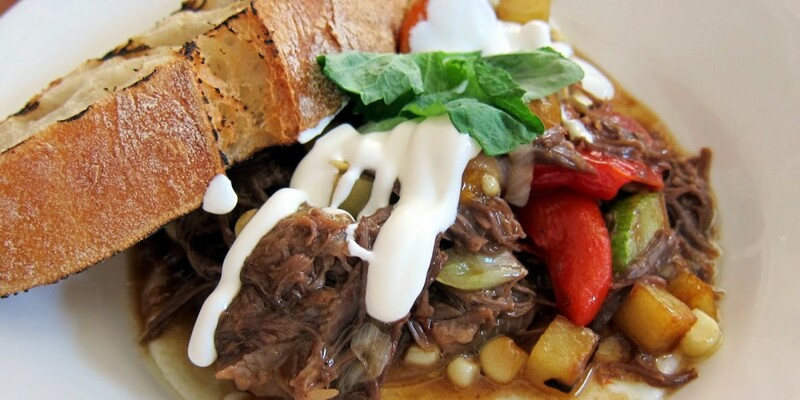 In a dutch oven or similar heavy cast iron pot, place the brisket and cover just barely with the Guinness and water, sprinkling the spices on top. 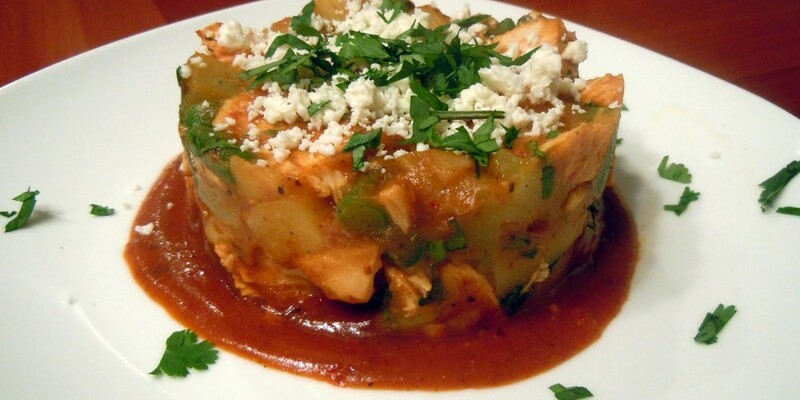 Once it reaches a boil, reduce to a simmer, cover and let it cook for about 3 hours. 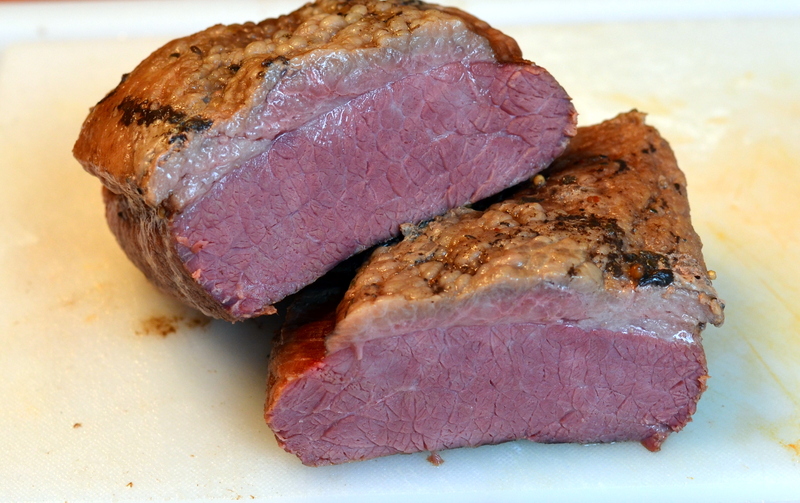 Voilá – out comes flavorful, tender and moist corned beef ready for a hashcapade! Luscious corned beef is ready for hash! Next, its time for potatoes. Peel, chop and place in a medium pan of cold water to cover and bring to a boil. 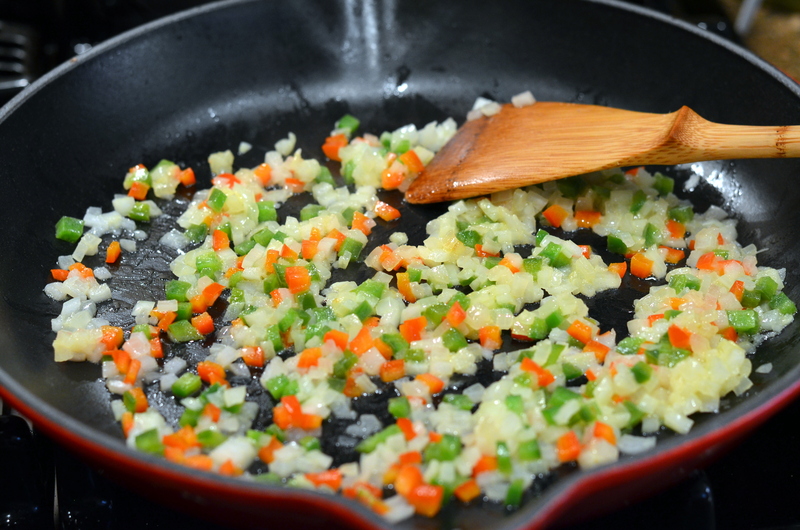 In parallel, dice the onion and peppers and sauté them in butter for about 5 minutes. Onion plus red and green bell peppers for extra color. 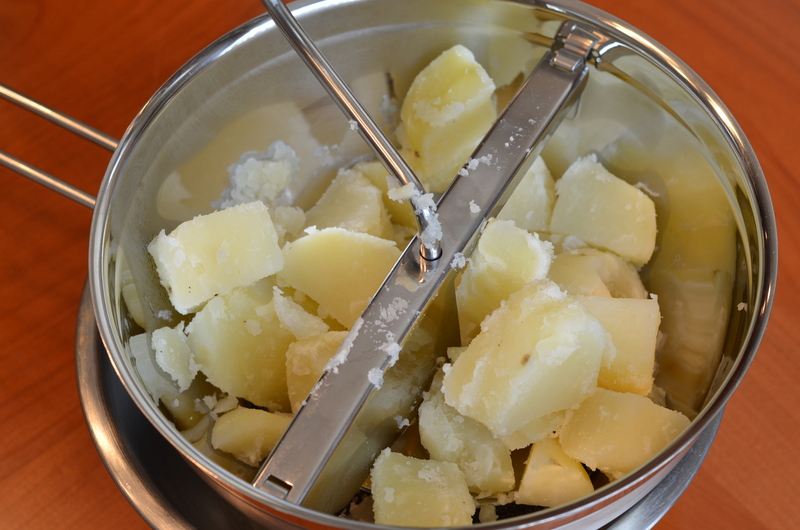 Once the potatoes are tender, drain and place in a food mill, potato ricer or simply mash them. 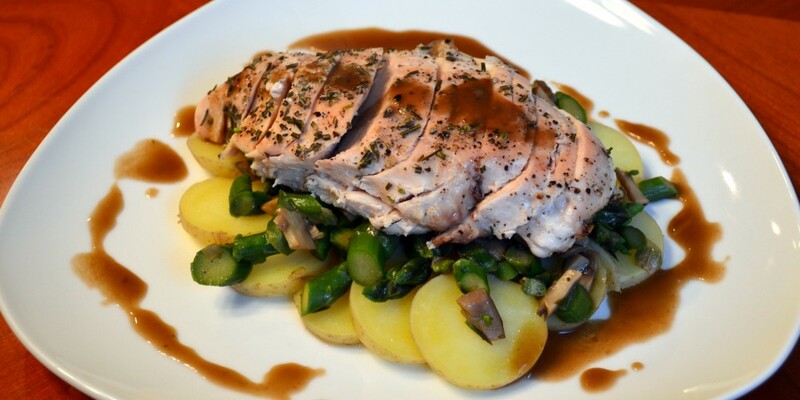 I use a food mill because it makes the potatoes nice and fluffy. 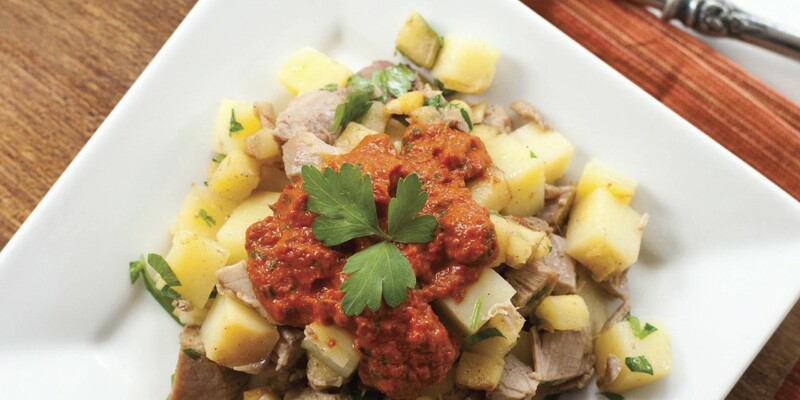 For those in the know (and now you are too), this is how you get the perfect potatoes for gnocchi – molto bene! Rosle food mill gets the potatoes nice and fluffy! 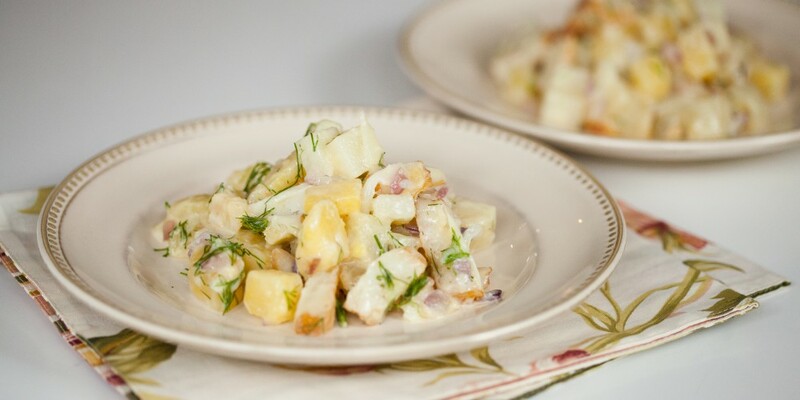 Fluffy potatoes ready to mix with corned beef. Now the easy part. 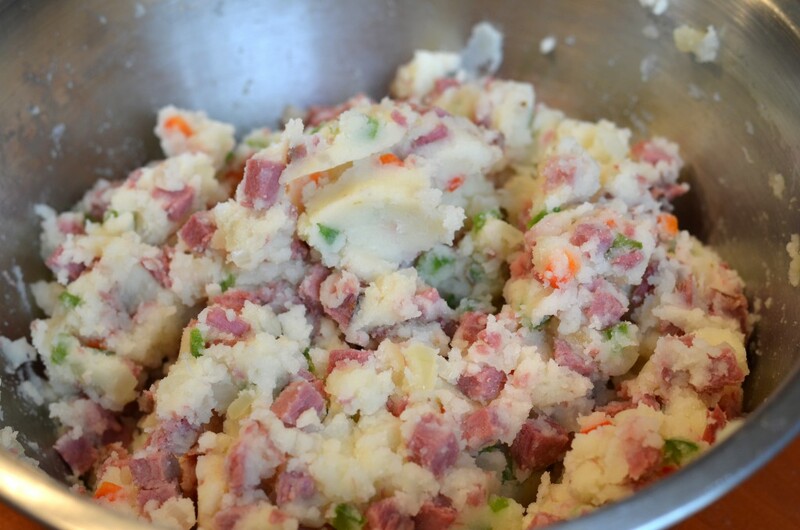 Mix the potato, onions, peppers, diced corned beef, horseradish and heavy cream all together in a big bowl. 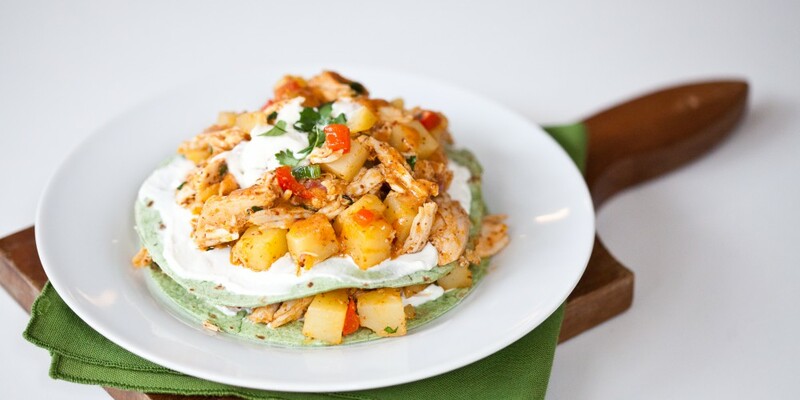 Cover with plastic wrap and let cool in the refrigerator for at least an hour, preferably two. This helps make it easy to form the croquettes. Croquette mixture - ready to refrigerate. 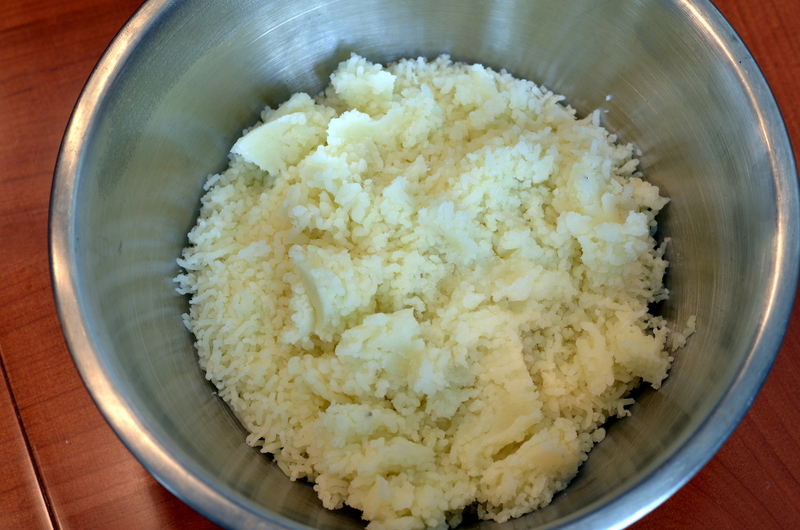 Next, roll the corned beef hash mixture in your hand to form a croquette, about the size of a small ice cream scoop. Since Easter is approaching, I thought the photo below looked like psychedelic Easter eggs! 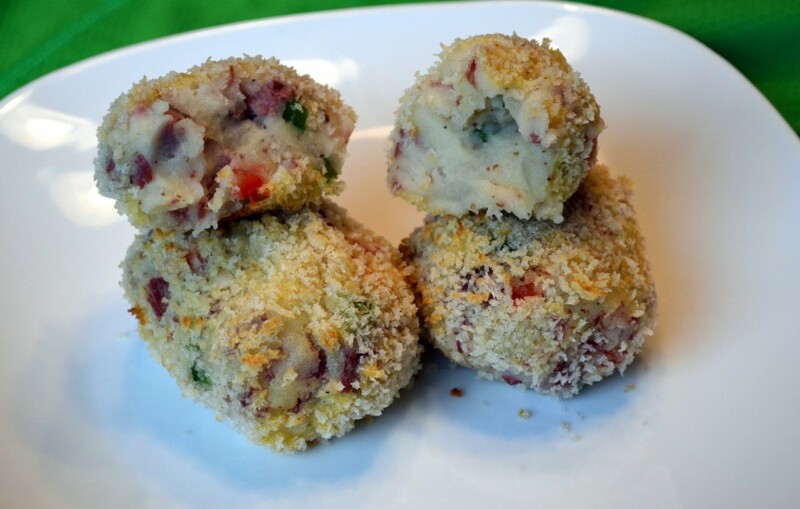 Naked Corned Beef Hash Croquettes - blush! Croquette breading station at Chez Clark. I love getting my hands messy with breaded shrimp, salmon and good old fried chicken. This was no exception as I deftly dipped the naked corned beef hash croquettes in egg, then Panko. Why Panko you ask? 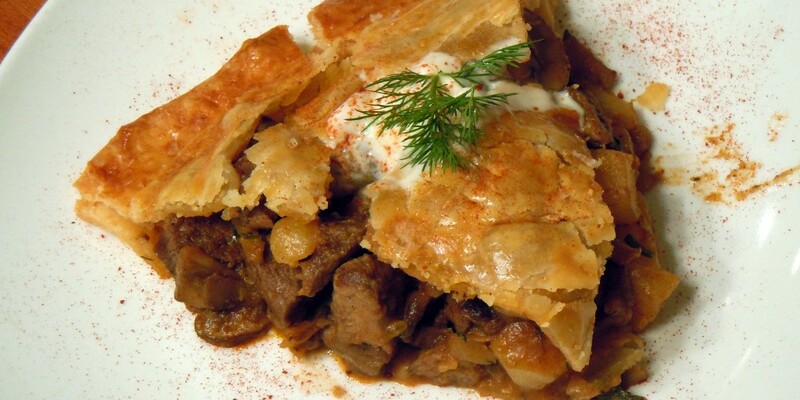 Because I like the crunchy exterior and wanted a nice contrast between the tender corned beef, creamy potatoes and crunchy shell. Capice? All breaded and ready to bake. Some of you are undoubtedly horrified that I’m baking croquettes instead of frying them. I decided that I wanted the flavor to really stand out and was afraid the oil might overpower the corned beef hash goodness. If you decide to fry them, you can’t go wrong with Paula Dean, y’all! 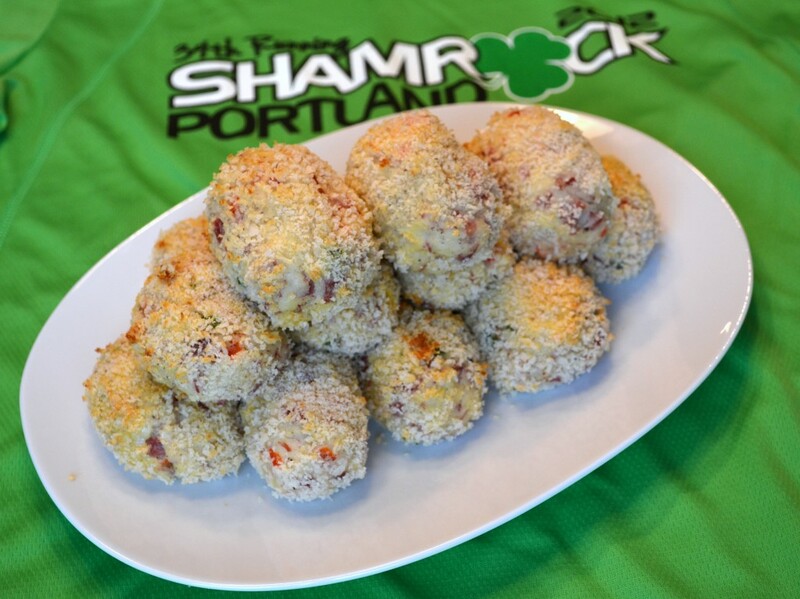 Corned Beef Hash Croquettes before Shamrock Run. It took all of my will power to wait 20-25 minutes for my Corned Beef Hash Croquettes to reach a perfect golden brown color. I kept checking and checking, all the while pondering the meaning of croquette vs. coquette: “a woman who endeavors without sincere affection to gain the attention and admiration of men.” Well, these beauties caught my attention and admiration – perfectly crunchy with lovely corned beef hash goodness inside. Sláinte! NOTE: Pre-heat the oven to 425°F when you remove the croquette mixture from the fridge. 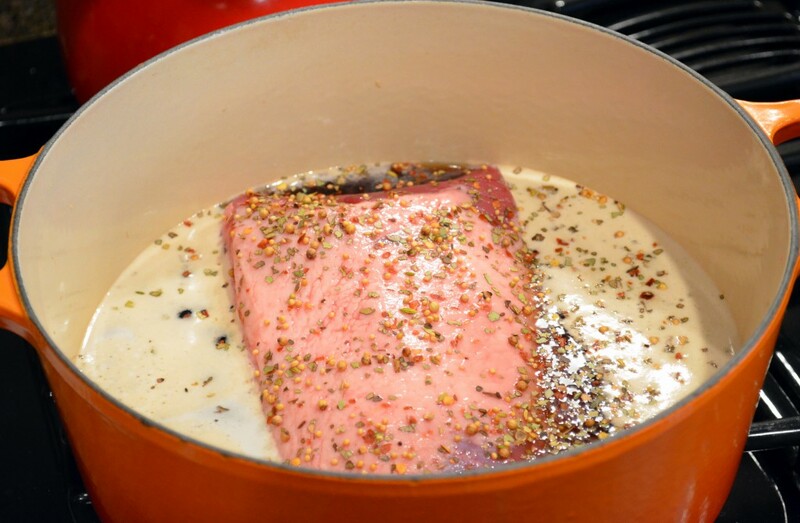 1) Remove corned beef from package, place in dutch oven, pour in beer and water to just cover. Add spice packet that comes with the corned beef. 2) Bring pot to a boil, then cover and turn down to medium-low to low and simmer for 3 hours. Remove and wrap with plastic wrap and let cool. 3) In a large pan, put in potatoes, add water to cover by an inch or so, add salt and bring to a boil. Check for fork tender in about 15 minutes, remove and drain water, letting potatoes cool. 4) While potatoes are boiling, saute onion and peppers in butter for about 5 minutes or until tender, remove and let cool. 5) Place the potatoes in the food mill or potato ricer and mill into a large bowl, creating fluffy potato mixture. 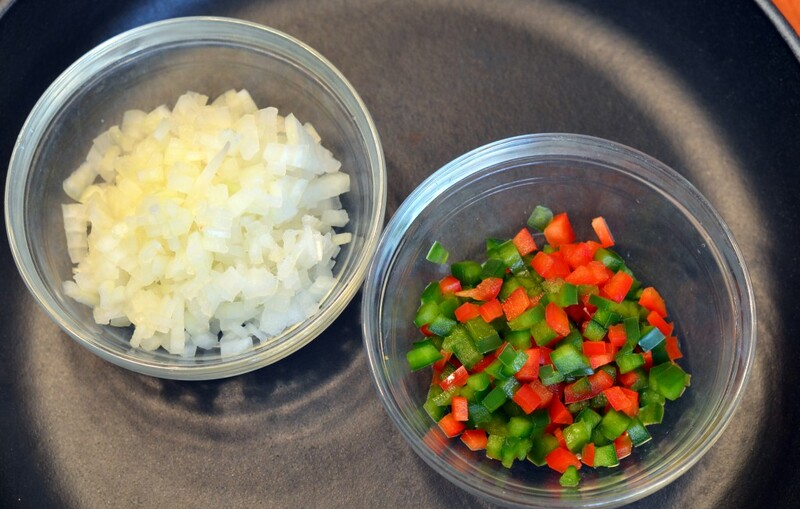 6) Add the onion, peppers, horseradish and heavy cream and stir the mixture thoroughly, seasoning with salt and pepper to taste…don’t be shy with the seasoning! 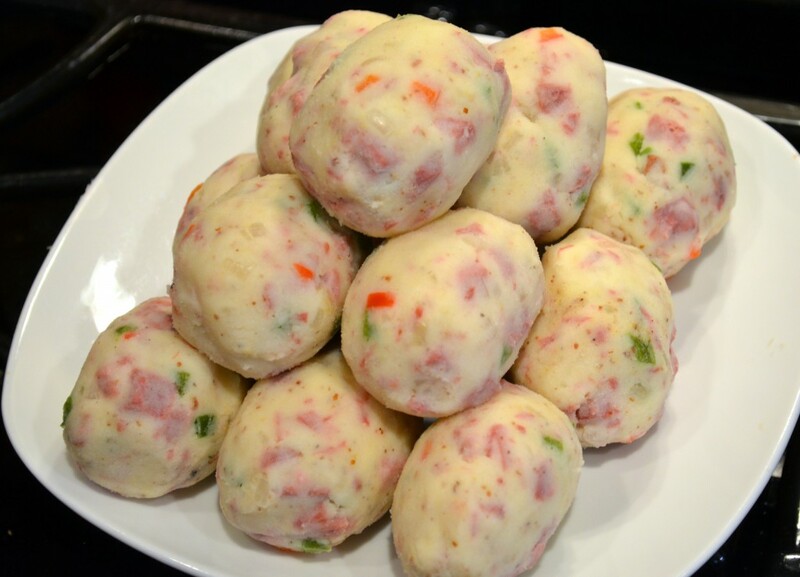 7) Refrigerate the croquette mixture (to make it easier to form the croquettes) for at least and hour. 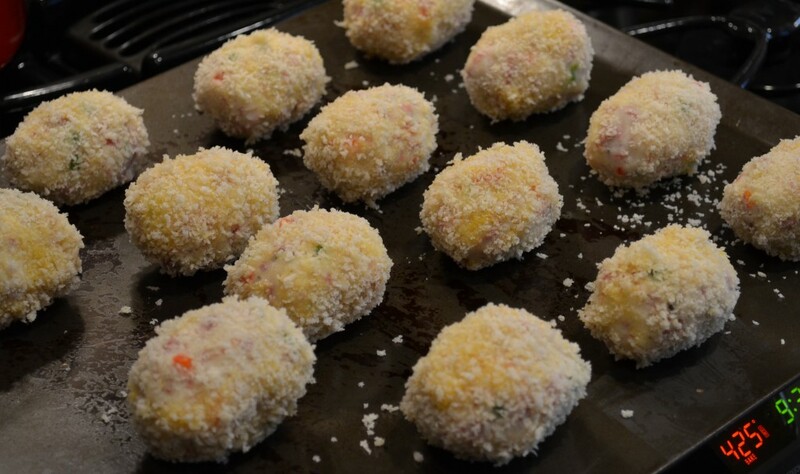 8) Set up croquette mixture, egg and Panko in a row with a baking sheet right next to it. 9) Form a ball, about a small ice cream scoop size and roll it in your hand to form an oval. Dip in the egg, then the Panko and place on the baking sheet. Repeat until the mixture is gone. Should make 13-15 croquettes. 10) Bake at 425 F for 20-25 minutes or until the croquettes are golden brown. 11) Remove and let stand for 5 minutes. Serve immediately.